Olav Roots made his debut in front of the joint orchestra of the State Broadcasting Company and the Estonia Theatre on 23 November 1934. In autumn 1939 he became the first principal conductor of Symphony Orchestra of the State Broadcasting Company (present ERSO). He remains in the history of ERSO as a conductor who was very demanding towards himself and the players; under his baton the performance of the orchestra improved considerably; he had a phenomenal ability to conduct programmes from memory. Olav Roots and Symphony Orchestra of the State Broadcasting Company performed in Tallinn the premières of many Estonian musical compositions, including Eduard Tubin’s first four symphonies. On 26 February 2010 ERSO, conducted by Arvo Volmer, celebrated Olav Roots’ 100th birth anniversary by the Estonian première of his Symphony created in Bogotá in 1967. The photocopy of the score of the symphony reached Estonia in 2008 through film director Katrin Laur who has made the film Roots: a Hundred Years of War and Music (2011). The recordings of Symphony Orchestra of the State Broadcasting Company and Olav Roots from 1939 are included in the collection Estonian Sound Recordings from 1939 released in 2009. Olav Roots (26 February 1910 – 30 January 1974) was a conductor, pianist and composer. In 1931 he graduated from Tartu Higher School of Music in the speciality of piano in the class of Adelheid Hippius and Artur Lemba, and in the speciality of composition in the class of Heino Eller. A year later he graduated from Tallinn Conservatoire as an external student. At the age of 19 he first conducted summer concerts with the orchestra of Vanemuine Theatre in Tartu. In 1933 and 1935 he continued his education at Alfred Cortot’s piano courses in Paris, and in 1937 in Vienna under the Austrian conductor, composer and pianist Felix Weingartner and one of the most renowned 20th-century conductors Bruno Walter, and in Salzburg under the Ukrainian-born conductor Nicolai Malko. 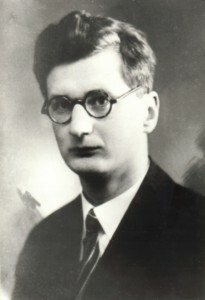 From 1931–1935 Olav Roots worked as a piano and music theory teacher at Tartu Higher School of Music, from 1935–1944 as a lecturer of the class of chamber music and conducting at Tallinn Conservatoire, from 1939–1944 as the principal conductor of Symphony Orchestra of the State Broadcasting Company (1941–1944 Landessender Reval). He was also active as a solo pianist and chamber musician, and conducted a few operas. During the German occupation (1941–1944) Olav Roots toured several European cities and upgraded his education in Salzburg under the Austrian conductor Clemens Krauss. In autumn 1944 Olav Roots, like many other Estonian cultural figures, emigrated to Sweden. He worked as a music teacher at Sigtuna Estonian Secondary School, participated in concerts, giving a few solo recitals on the piano and performing as an orchestra soloist in Tubin’s Piano Concertino (conducted by Carl Garaguly) and acted as a musical columnist. Still, he could not find any employment in Sweden as an orchestra conductor. In 1952 Hubert Aumere, the former leader of Symphony Orchestra of the State Broadcasting Company and then of the Bogotá orchestra, invited him to conduct the Bogotá orchestra in Colombia. From November 1952 Roots became a lecturer at Bogotá Conservatoire and thereafter the principal conductor of Orquesta Sinfonica de Colombia. Under his conduction the level of the orchestra rose and its reputation improved considerably. Along with world classics, Roots performed several works of Eduard Tubin in Colombia: in 1955 he presented Tubin’s Symphony No 5, in 1957 his Double Bass Concerto (soloist Manuel Verdeguer) and in 1959 Symphony No 7. Besides working with his own orchestra, he conducted several other South-American orchestras as a guest conductor. In addition to chamber and vocal music, Olav Roots created two orchestral pieces: Variations and Passacaglia on the theme of A. Kapp (1959) and Symphony dedicated to Orquesta Sinfonica de Colombia. The Symphony premièred in Bogotá on 10 November 1967 under the composer’s conduction. Recognitions: Honorary citizen of Colombia (1967).